But monitoring tools have significantly evolved in recent years. They provide things like time series traces, metrics, and logs. This kind of monitoring is called “whitebox monitoring”—a subcategory of monitoring, based on information derived from the internals of systems. In general, there are three pillars of observability: Traces provide end-to-end visibility into requests throughout the entire chain. 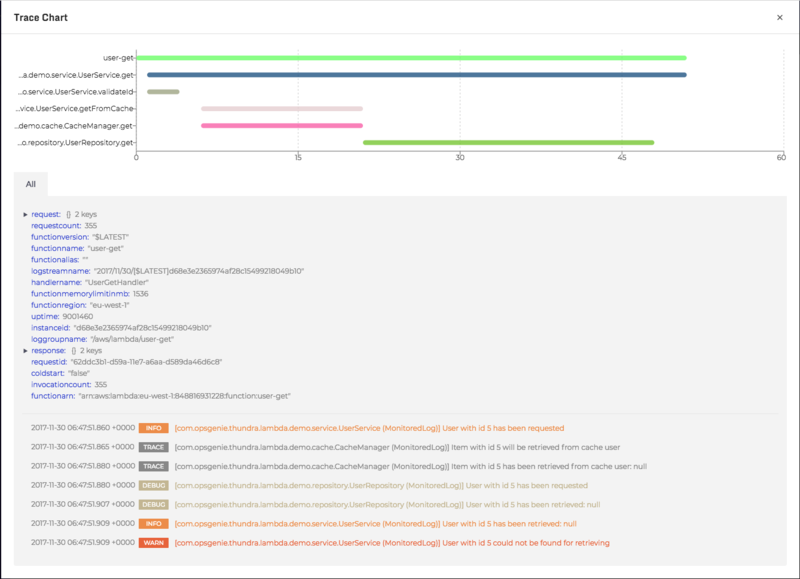 Traces can be used for identifying which parts of the system have performance bottlenecks, detecting which components of the system lead to errors, and debugging the whole request flow for domain-level bugs. Metrics provide measured or calculated information (mostly numbers) about a particular process or activity in the system over intervals of time—in other words, a time series. A metric can be application/environment specific (CPU metrics, memory metrics), module/layer specific (cache metrics, DynamoDB metrics) or domain specific (user metrics). Logs are an immutable and verbose representation of discrete events that happened over time. Logs are used for debugging, auditing, and analyzing system behavior. To have full system observability, you not only need all the trace, metric, and log data—you need them to be correlated. This requires changing your application code, which will ultimately require more testing and maintenance. It’s also error-prone, as anyone who’s ever forgotten to end a span can attest. Plus, you can’t trace external libraries without rebuilding them—not really feasible for most. If you instrument everything, most of the time there will be redundant tracing data. This will ultimately cause CPU and memory overhead in the system. And also, let’s say you do instrument every method—you may not know which part of the method body takes up the majority of the time. When it is detected that the current method call is a long run call, it is too late for instrumentation—the method call is already active. In this case, method level CPU profiling provides us useful metrics about CPU consumption percentages of methods. By using this information, we can focus on the problematic method to find and understand the bottleneck. 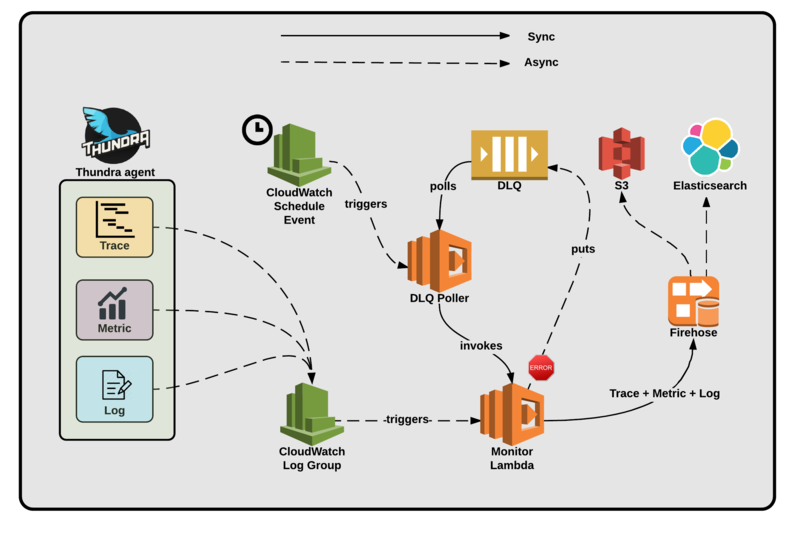 See how we monitor AWS Lambda at OpsGenie, and check out our engineering blog to keep up with Thundra’s progress. To multi-cloud, or not to multi-cloud? A frank discussion on the pros, cons and considerations.